As Editor of Healthy Mommy, Happy Baby, I am always looking for ways to get the word out to moms about how best to lead healthy happy lives for themselves and their kids. Not only that but I’m a mom who struggles to balance a “healthy” life with my happy family. It’s a struggle that I share with my mommy audience here and over at Healthy Mommy. The cure for that is finding a way to connect with other moms like me so I can be inspired and learn new techniques and tools to make that balance of being healthy and happy a reality. 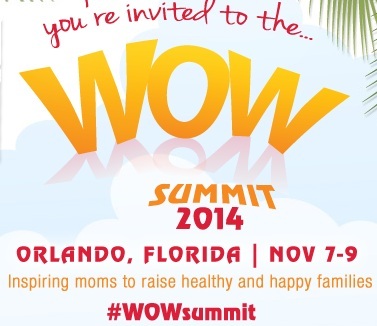 That why I’m super-excited to attend the @MomsMeet #WOWsummit in Orlando at the beautiful Caribe Royale resort this November! I’m looking forward to the amazing speakers, interactive workshops, sample products, great prizes, and a goody bag worth more than $150! 1. Bring your family and stay at the beautiful Caribe Royal Orlando resort, located less than two miles from Walt Disney World® Resort. Register early for a chance to win tickets! 2. Get great advice from top-notch healthy living and parenting experts and immerse yourself in interactive workshops. 3. Walk away with lots of goodies! We’re giving away tons of prizes throughout the event, plus everyone will receive an amazing gift bag stuffed with healthy and natural products, worth over $150. 4. Connect with your fellow moms: Have a blast at our poolside cocktail party and laugh out loud during our Mom’s Night Out comedy hour. You should join me. Register before July 31 Early Bird Discount, plus be entered to win tickets to Walt Disney World® Resort! Massive List of Where to Get FREE Back to School Supplies! I had such a delightful time last year and look forward to attending again this year! See you there!